Challenges facing the future of Europe’s energy sector were discussed in Maastricht last week at the Second European Energy Conference. European and international communities recognise the need to move towards a low carbon future, but despite high expectations and the efforts made by several stakeholders, there remain substantial concerns about costs and the public’s commitment. The event brought together high-level speakers, from researchers to policymakers and practitioners, who debated new ideas, shared the most recent technological advances in science and above all discussed strategies for a more sustainable energy market. Even though it was agreed that Europe should be aiming for lower carbon emissions, no general consensus exists on how to do this and which sectors should be prioritised. The main issues concern the cost of transitioning to a sustainable energy supply and communicating its benefits to the general public. According to Marianne Haug from Universität Hohenheim, this transition should be market driven to ensure a more competitive and accessible sustainable energy market. 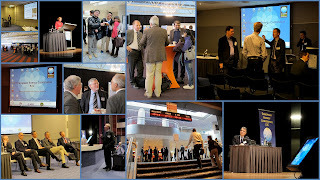 Offering excellent networking opportunities, one of the conference’s highlights was a debate around fusion energy. Advances in this area point towards a promising future for Europe’s energy supply, with lower waste and safety concerns compared to the nuclear fission-based power production that currently exists. You can also follow the main conclusions of the event on Twitter and on its Facebook page.